Final Valley cake was a cake we were happy to design to the requirements of our customers. 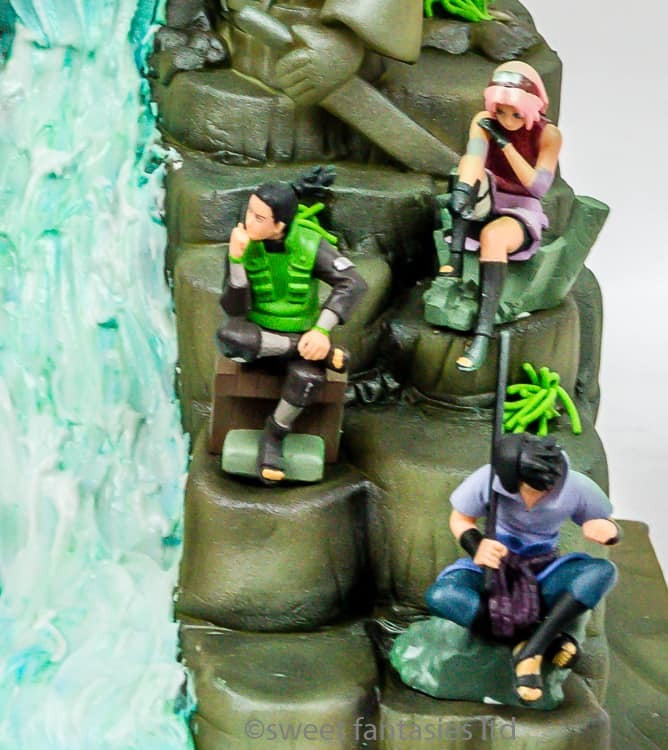 Like this cake with Statues of Hashirama Senju and Madara Uchiha. 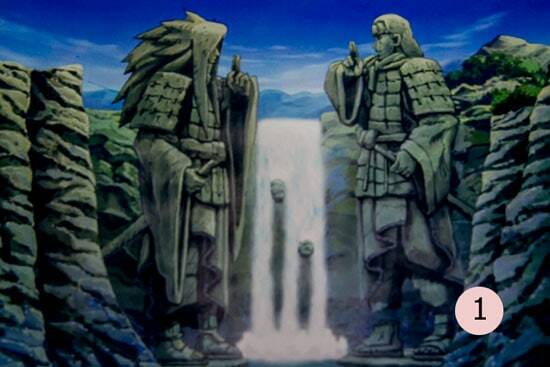 I believe these characters are from The Naruto (Japanese: ナルト) manga anime series. (If I’m wrong please let me know in the comments section below). The customer provided some pictures as guidance and wanted to include some small character figures as well. 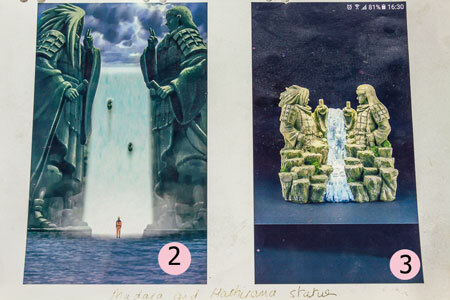 Pictures that were provided for Guidance. 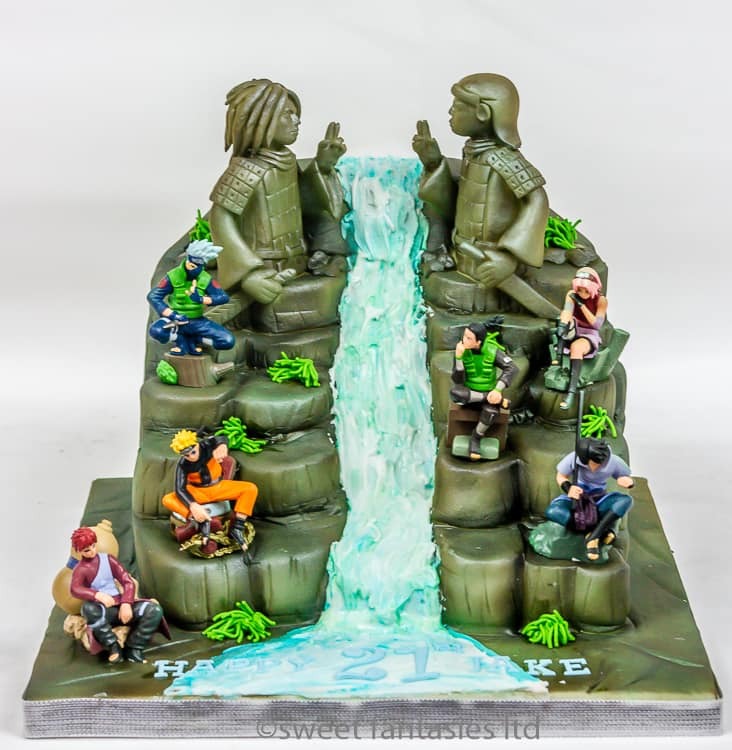 We made the cake similar to picture 3 because this would give us space to place on the small figures provided by the customer. The cake was made from layers of sponge, sandwiched with Jam & Buttercream then covered with Sugar Paste. 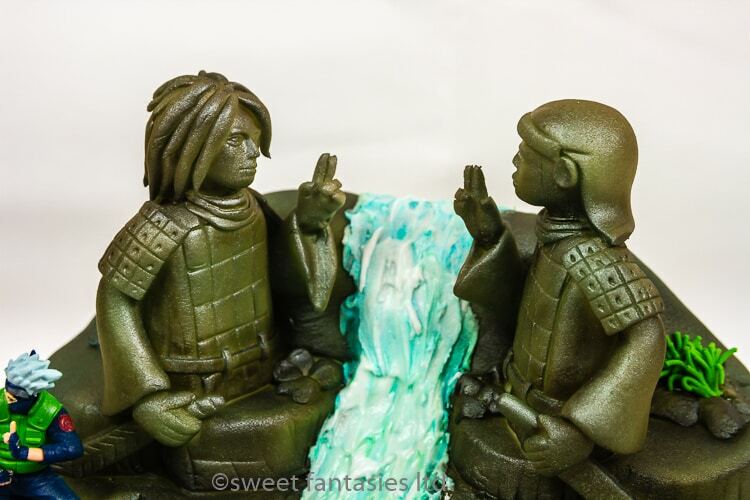 The two Statues for this Final Valley cake were modelled from Sugar Paste, To get the colour & texture we airbrushed the cake with food colouring. The waterfall was added using Royal Icing, and the grass was Sugar Paste. Finally, we added the small figures. Some of the Character the Customer supplied. If you require something a little different or need help with a design idea call in and see us or email your ideas to us.